You’ve no doubt noticed the increase in mortgage rates in the last month (or week!) – maybe that statistic has even caused you to wonder if NOW is the time to sell your home. Happily the real estate market continues to flourish despite average rates at around 4%, although inventory still shows significant lows. Still, you may find yourself wondering how and if these rate changes could impact the sale of your home and the future of housing in your local market. An introduction into the Federal Reserve and it’s role in interest rates may help you understand its impact on your home. In the past the Federal Reserve, as the central banking unit in the United States, has largely determined current interest rates. The Federal Reserve monitors and maintains low rates to stimulate the economy as needed and raises rates to keep inflation in check. In recent history, however, interest rates have been dropped so low that the Federal Reserve began to utilize a system known as quantitative easing. From a textbook standpoint, quantitative easing occurs as bonds and assets are purchased by the Federal Reserve from banks to infuse money into banking, allowing banks to loan more money. As individuals and organizations use the loaned money, jobs are created and the economy records growth, allowing the cost to borrowers to decrease, as bonds decline in supply, which in turn results in more lending and economic growth. Several roll-outs of quantitative easing have been attempted in the last few years with varying success, however the Federal Reserve announced in fall of 2012, that shorter-term rates would likely be kept low until 2015, in an attempt to balance the job rate. Recent news indicates that a tapering of quantitative easing may occur earlier, as the Federal Open Market Committee evaluates current conditions. As quantitative easing impacts home mortgage rates, any changes may have impact on your home, and awareness is key. 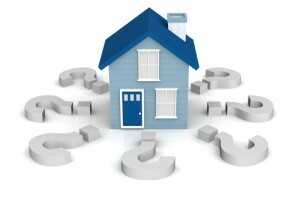 However, home pricing and market trends are always determined by current interest rates, supply, and demand. To learn more about any of these changes may affect you, please give me a call to discuss our local housing market amd the best plan for you and your home.